With Friday coming in hot it's time again to assess the critical, commercial, and most importantly, the cultural potential of the new flicks hitting the theaters. This week we have two highly anticipated films (to some degree), the Marvel Superhero movie Ant-Man (2015) and the Amy Schumer / Judd Apatow joint, Trainwreck (2015). Let's take a look at what we're in store for, starting with Trainwreck. Bill Hader is so dreamy. It's clear that Trainwreck is positioning itself to be THE Summer Comedy of 2015, with TED 2 and Hot Pursuit both falling on their face. Hell, it could be THE Comedy of all 2015 if the year continues the way it has. The only major success so far has been Get Hard, and it's safe to say that even with the pull of Will Ferrell and Kevin Hart going strong, that flick underperformed. 2015 is wide open for something like Trainwreck that looks pretty genuinely funny, has an impeccable cast, a well-liked director (even if the underrated Funny People  was a bit of a bust and no one on earth watched This is 40 ). It's actually almost ironic now that Judd's going against Paul Rudd in Ant-Man this weekend. Trainwreck's biggest test is really the viability of Amy Schumer. The comedian is a fairly popular stand-up and a rising star from her show, Inside Amy Schumer. This flick is actually coming out at peak Schumer popularity, which is a damned lucky move by the studio. Or not a coincidence at all. This will be Schumer's coming out party. It's like Jim Carrey's Ace Ventura: Pet Detective (1994) or Adam Sandler's Billy Madison. Ben Stiller's Meet the Parents (2000). Or to highlight another Apatow star, Seth Rogen's Knocked Up (2007). Judd has had a phenomenal amount of success grooming future comedy icons (not the least of which is the fact that he's worked with all of these comedians I just mentioned) and this is a showcase for Schumer. Almost everything about Trainwreck has been marketed exceptionally well. It features a jump-off of her pretty well defined public persona in a role that totally slides into our expectations. It shows off a balance between female-driven comedy and sports references for the random group of guys who for some reason may otherwise be turned off by said comedy. You know, it's actually bizarre how female-driven comedy on TV has become. The best comedy shows of the past year were totally Parks and Recreation, Unbreakable Kimmy Schmidt, and Broad City. Even Brooklyn Nine-Nine does a fantastic job building realistic female characters. 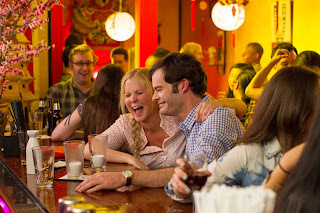 Trainwreck is that big litmus test - can this translate to on-screen funniness like Bridesmaids (2011) did a while back? I think the answer is yes. On that note, we ought to comment on how this is going to make a ridiculous amount of money. Even though it's a scrappy first-time outing for Schumer, it's got the weight of some thoroughly established comedy names behind it. Audiences male and especially female are also starved for good comedy right now and it's perfect counter-programming for those weary of the bloated superhero blockbuster, even if Ant-Man feels less bloated than most. Ant-Man is in fact, tiny. I mean, this thing is weird. So, let's get into that one. Ant-Man is possibly Marvel's toughest sell yet, which is crazy, because it feels like all of their films are tough sells in the beginning. It's not only an obscure, dumb hero (easily the Aquaman of the Marvel world), but the production was plagued with skepticism, trouble, and a not-so quiet and humble departure from visionary Edgar Wright to the "who cares?" notoriety of journeyman Peyton Reed. When all is said and done, this ought not to have anything to do with how the film actually turns out, but it tends to pop up as a weird hex on the film anyway. The biggest thing about Ant-Man does tend to be that "who cares?" factor. I don't think anyone is too pumped up for this one. It's getting a bit old to be complaining about the glut of superhero movies these days, but in all actuality, the more I remember Age of Ultron (2015) the more I struggle to even recall which scenes I liked or even which scenes were memorable. Ant-Man needs to do something very distinctive with itself in order to break away from the pack of other carbon copy superhero movies. This is all kind of tragic because Hank Pym is a great character in the Marvel Universe, the Scientist Supreme who also has all these ego and guilt problems, mostly for creating Ultron. That's really the most interesting thing Pym has done, actually, and well, in the MCU that's now Tony Stark's prerogative. 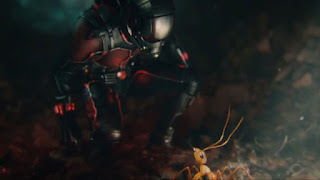 The decision to go with Scott Lang is sort of bizarre, but it's really just creating a more interesting movie. Hank Pym slides better into that mentor role while they can give Lang the smart aleck dialogue that they've really settled on. He's getting into that Stark/Peter Quill sort of sarcastic reluctant hero thing that audiences are just eating up. All in all, the footage we've seen so far from Ant-Man honestly feels like an Edgar Wright movie in a shittier shell, which is exactly what this is. It's useless to whine about the causes for his dismissal or whether or not Wright's Ant-Man is the best superhero movie never made, but that feeling is really hard to shake off, especially when you hear some of the whipsmart dialogue paired with tepid, uninteresting visual camera work. Things didn't tend to land in the trailers, which is a huge concern. Financially, it's hard to predict where Ant-Man will fall. There certainly remains a huge audience for these movies, although it's important to note that original non-Iron Man, non-Guardians of the Galaxy Marvel films don't tend to light up the box office. Ant-Man is more about selling Civil War (2016) and other Phase 3 flicks than it needs to sell itself. So what do you think? Trainwreck or Ant-Man? Or will you be seeing Minions (2015) again in what looks like a terrific summer for any movie featuring weirdly-shaped animated things or dinosaurs. Summer Jam Week 9: C Us Again! Road to a Blockbuster: Terminator! And Strippers!